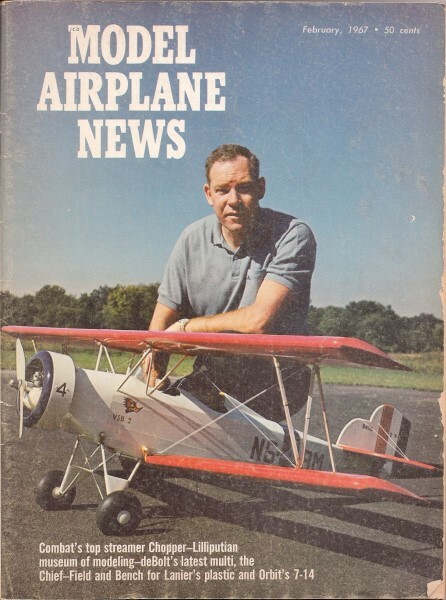 This particular page is from page 1 of the February 1967 issue of Model Airplane News magazine. 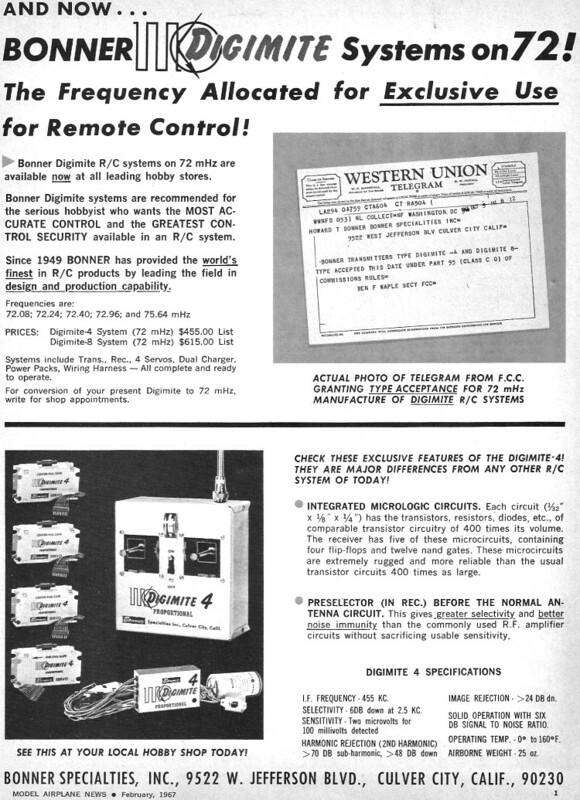 Notice the Western Union telegram notifying Bonner of the type certification. This is the era when 72 MHz frequencies had not long before been assigned for model use. $455 for a 4-channel radio system is a lot in today's dollar, but it was a huge amount of money back in 1967 (=$2,951.87 in 2010 according to the USBLS's inflation calculator). All copyrights (if any) are hereby acknowledged.